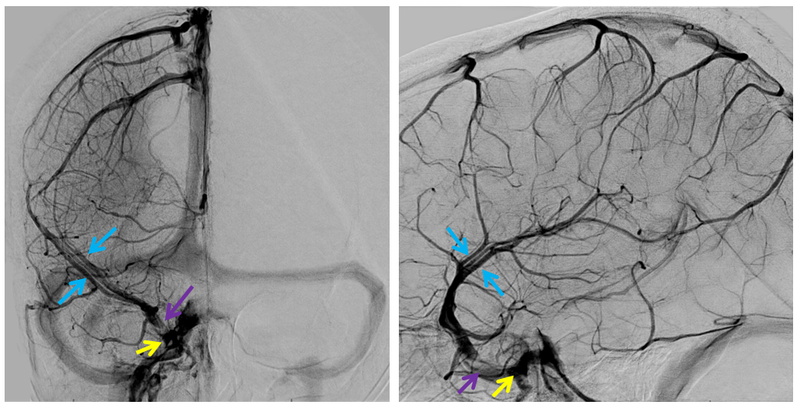 Pterional craniotomy was perfromed iwth careful attention to preserving these veins. One of the veins could not be saved despite full recognition of its significance, which can still be tolerated in many patients. 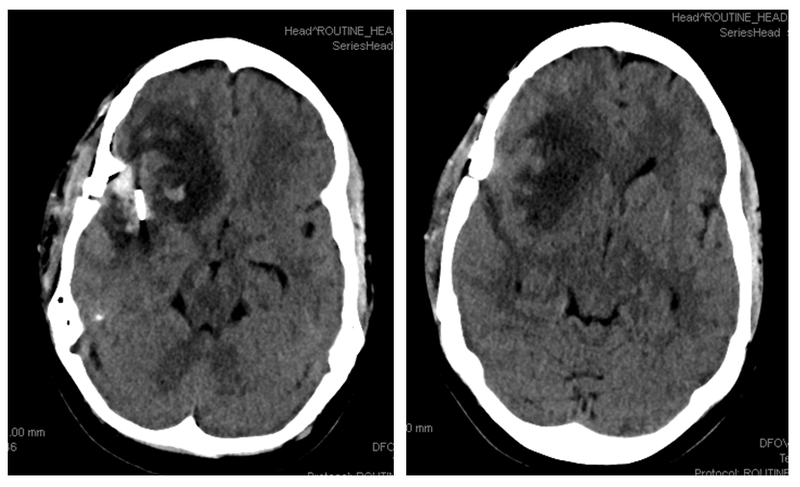 Here, however, the result is a typical venous infarction, with hemorrhagic foci within a larger hypodense, swollen territory. This particular event was well-tolerated.